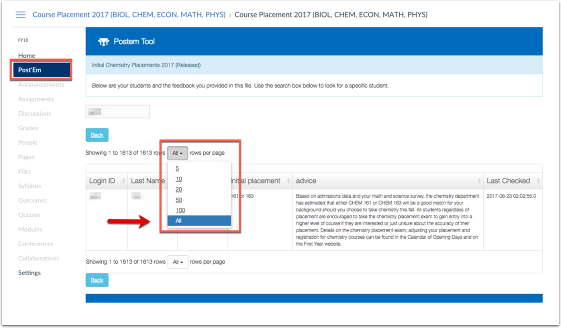 The Post'Em Tool is a way for instructors to provide detailed text feedback to students by uploading a single CSV file. Your CSV file can contain multiple columns of feedback and you can upload as many different CSV files as you wish. Go into “Settings”, then Navigation. 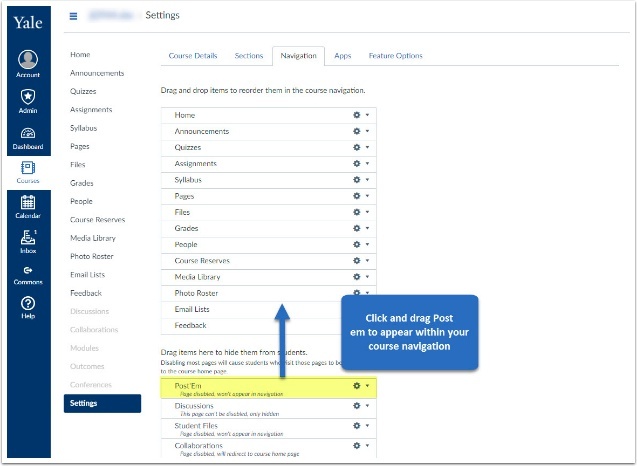 Click and drag Post’Em to appear within your course navigation. 2. After you make the changes to the CSV file, you can upload the CSV here. 3. Provide a title for the students to view. 4. Release feedback to particpants option. 5. 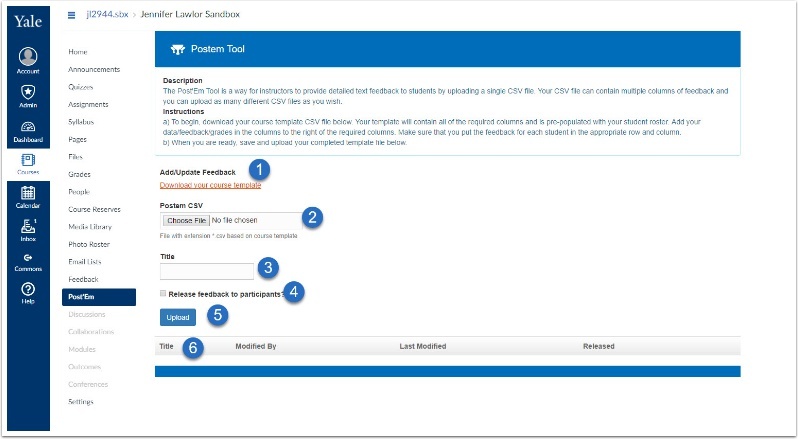 Upload the CSV to the course. 6. Location where the feedback CSV will appear. Prev: How do I use the Email Lists tool? Next: How do I use the Sign-Up Tool?